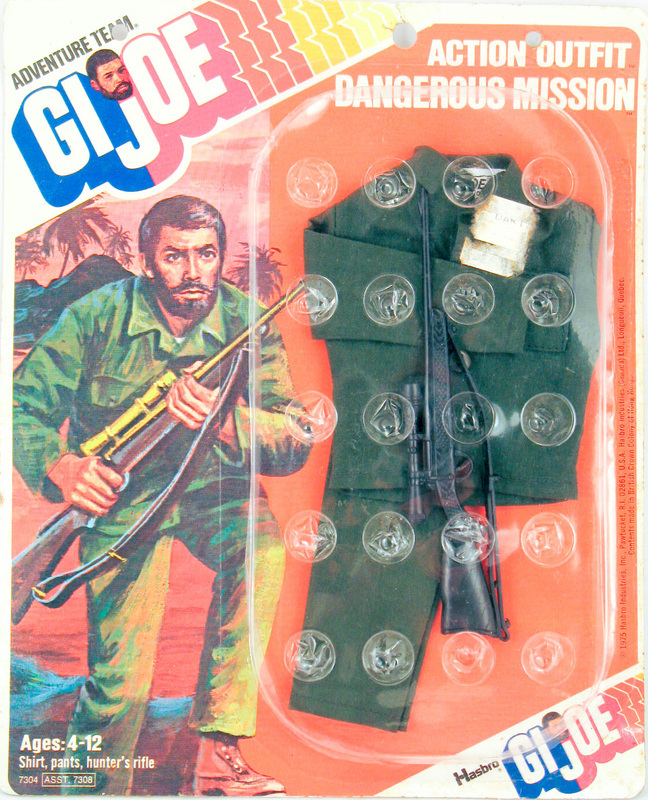 Dangerous Mission (7308-2) give Joe a matched green shirt and pants combo along with a black hunting rifle. 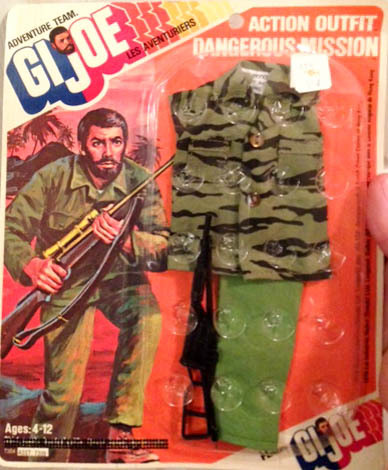 This set was available from 1973 through 1976. The first issue 1973 version is below, and the 1974 version beneath that. Note the change from the brown rifle with gold and black paint details to the all black one. At the end of the run, Hasbro worked to use up old stock however it could. The cards below are late issue Dangerous Mission sets, the one on the left the standard US issue and on the right a set from Canada. 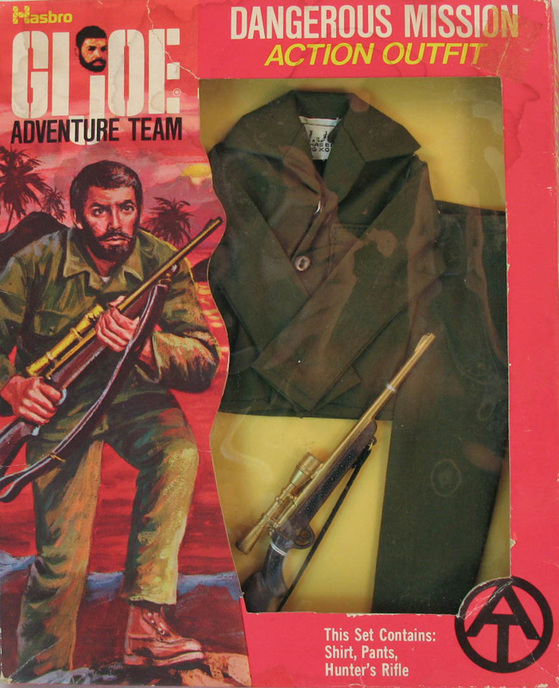 Rather than the correct outfit in the latter, we find a Sten gun and shirt from Hasbro's The Defenders line along with pants from the 1975 Green Danger set. Image of the set on the right courtesy of Joezeta. See his ebay auctions here.